Amble down the ‘Ramblas’ in Santa Eulalia, just past the post office, and you will happen upon the charming listed building of Villa Contact. On entering, a narrow passage gives way to the warm-spirited hub of a family-run luxury real estate business. Founded 30 years ago, this was one of the first of its kind on the island, and still holds a place high on the list of most trusted agents for luxury home buying in Ibiza. Why? The answer probably lies in the story of the formidable Gray Amat family behind its creation. Montse Amat was born in Barcelona, in 1948, to a very traditional Catalan family suffering the aftermath of the civil war, and the anti-Catalan Franco regime. The family had property in the Sitges area, but Montse longed to travel. So she studied languages and tourism and went off to Paris and London, much to the disappointment of her adoring family. It was in 1968, while working in Ibiza as a trainee receptionist for Peter Hays, at the Panorama hotel (Es Canar), that she met her British-born husband-to-be, Kingsley Gray (better known by his nickname Bunny). Both were in their early twenties at the time. In 1973, Montse and Bunny decided to come and settle permanently in Ibiza. In 1977, their first child Robbie was born, followed by their twins, Clea and Tom, in 1982. 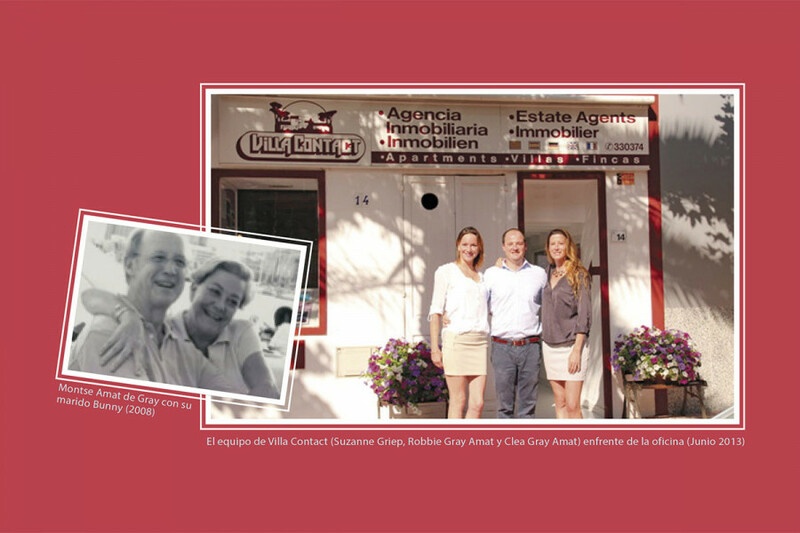 In 1983, Montse identified a need for a multilingual hub for home buyers and sellers on the island. 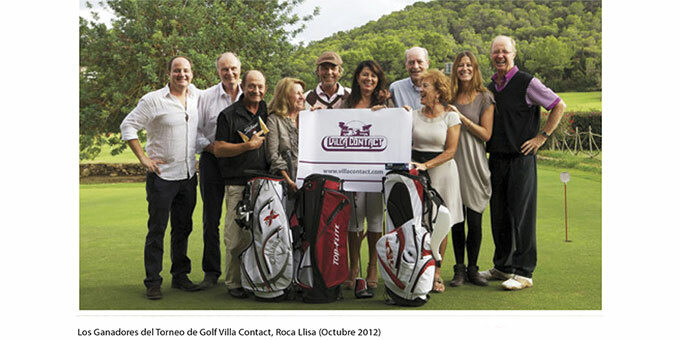 She went on to open one of the first luxury real estate offices in Ibiza: Villa Contact. Her notable success over the decades was very much attributed to her personality and abiding work ethos. Viewing it as so much more than just a job, Montse forged personal relationships with all her clients; offering free ongoing advice well after completion. To many of her younger clients, she was viewed as an “Ibiza godmother”. Her warmth, honesty and integrity were well known, as were many of her clients, including famous rock stars and fashion designers. For many years, the Gray Amat family were seen as a mighty social force on the island; with the family’s lives enthusiastically dedicated to tourism and real estate; not to mention some legendary entertaining at home. In 2011, Montse tragically passed away, aged 63, of a sudden heart attack. True to form, the family pulled together; with Clea and her older brother, Robbie, moving back to Ibiza to take over Villa Contact. Thankfully, both of them came to the job already fully equipped. Quite apart from their many years of assisting their mum, know-ledge of the island, and keen multilingual skills, Robbie had just spent ten years in China working for a major international real estate company: Knight Frank; and Clea came from a degree in Business Studies with Tourism, plus ensuing London-based PR career focused on sustainable enterprises. Robbie’s fiancée, Suzanne Griep, who is also from a hefty real estate background, forms the final third of a harmonious three-way partnership.